The minimalist form of the Spagetto echoes the minimal dimensions of its fluorescent tube. 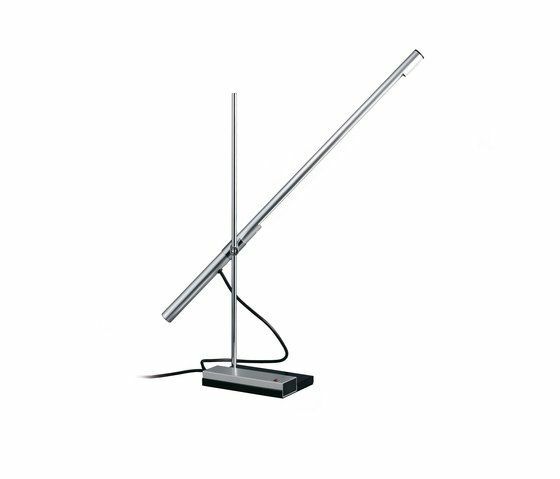 The slender upright and rod-shaped reflector give this table lamp an understated design with a lighting power that surprises. With their lean lines and linear light beam, Spagetto table and standard lamps add distinction to living and working areas. Our studio is located in Ebikon, on the boundary of Lucerne, Switzerland.